The plant's been growing pretty vigorously since I got it in May - some of the new growth is now coming up against the side of the pot. My plan is to divide it into 2 and repot into teak baskets at some point. Question is: will I have time to enjoy the next round of blooms or should it be done sooner? 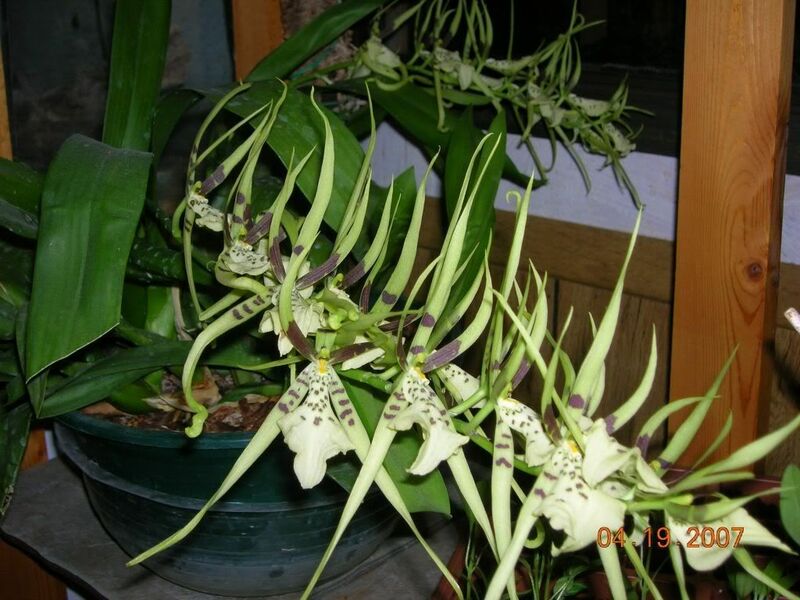 I understand Brassia Rex does not take too well to being repotted so any intervention will likely delay / abort the next round of flowers? I would wait until after the next bloom. I concur. I have a large one and atleast with mine, hates being repotted. Normally it is the most consistant bloomer I have. The plant can go a much longer time without needing repotting. I often have plants three times this size in a 4 inch pot. I was surprised to see it in a Vanda pot but obviously you are watering it enough. For most people they would dry too quickly. My pseudobulb is 5 cm width and3 cm in thickness so your plant is a little under water and insufficient light. The plant is not a fussy one, should be able to bloom quite easily. with our non stop raining for a week , The pot is perfect for hot and humid weather of ours. Last edited by digitalgate; 08-29-2009 at 10:19 AM. Dividing it will reduce the extent of the bloom you finally get. Thanks guys I'll sit on my itchy fingers and enjoy the blooms when they come then. Can someone post a pic of their plant to show how big a specimen plant can get? 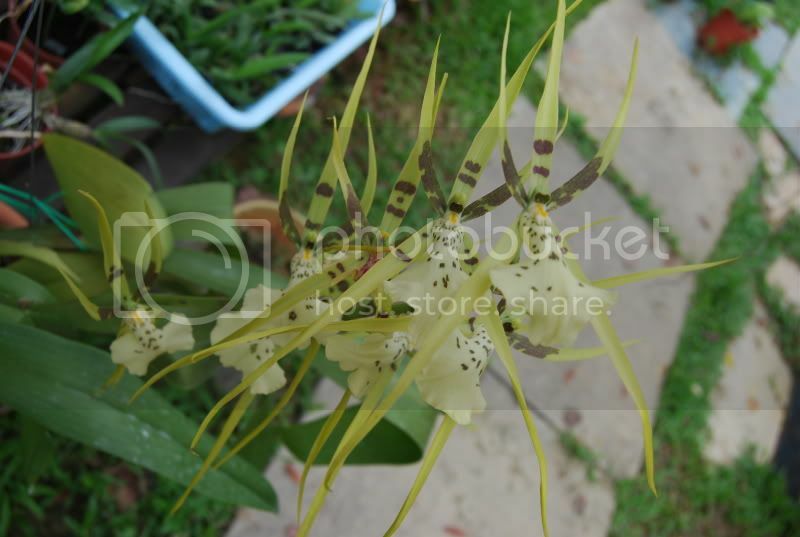 Heres my specimen plant of Brassia rex. Its an older pic. Its bigger now. I've also taken a division from it once or else I'd have had to find a bigger bowl for it. THe hanging pot its in now is 13" across. Its a thirsty bugger so I get accordian leaves from time to time. Its got several new growths right now and possible a start of a spike. If its not a spike, Im dividing and trying 1/2 in s/h to see if that will eliminate future wrinkled leaves. My plant is in a five inch pot! under pot. Just too lazy to repot. I'd especially not divide at this point. Dividing usually sets a plant back, especially a small one that hasn't yet reached flowering size. I suppose it is a matter of taste but I'd much rather have one big plant with about 5 spikes than 2 small ones with one or two spikes each. Larger, undivided plants seem to put out more flowers than if they were divided into 2 smaller plants.